Enjoy an elegant stay with Swarnam Residency in the beautiful city of Chennai. 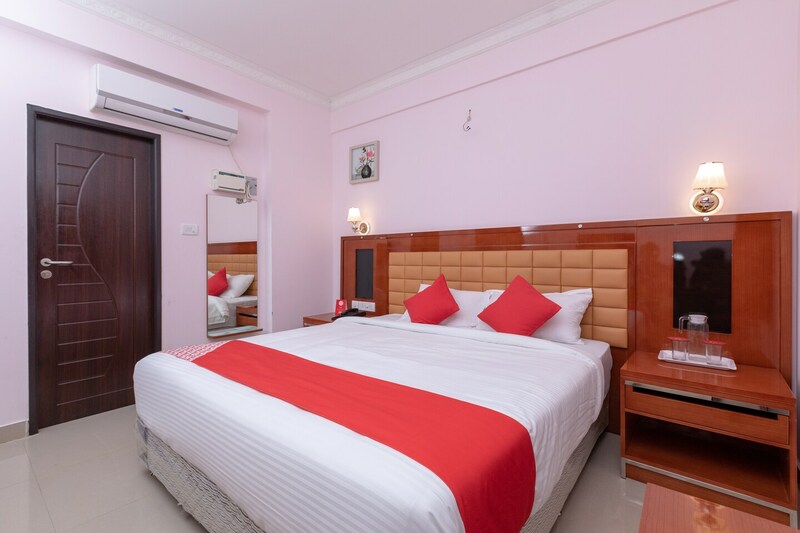 Packed with the basic amenities for the guests, the rooms of this residency are well-designed, well-lit and furnished with stunning modern furniture. The beautiful lamps on either side of the bed add to the beauty and charm of the room, making it a comfortable and elegant place for the guests to stay in. With this, the residency provides the guests with free WIFI, has a power backup facility and is protected with CCTV cameras. Swarnam Residency also allows card payments making it more convenient for the guests.